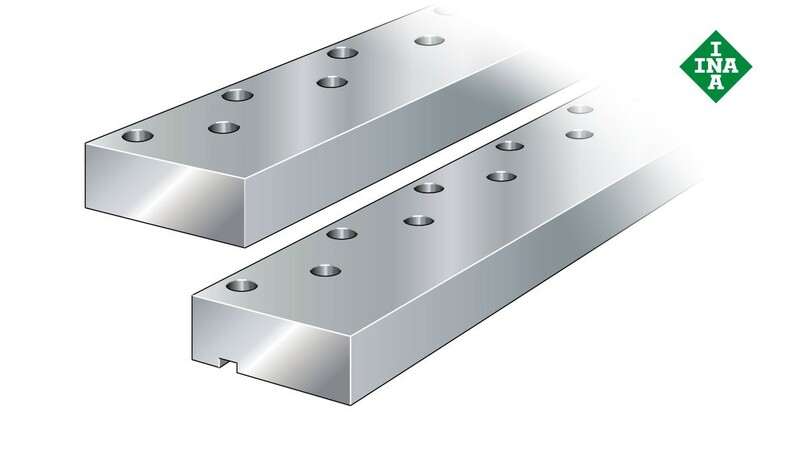 Thanks to their accuracy, the guideways in conjunction with the linear recirculating roller bearings produce high-precision linear guidance systems. They are made from through-hardened rolling bearing steel, have precision-ground raceways and feature a one-piece construction up to their maximum length. Longer guideways comprise coordinated sections. The guideways are available in quality classes Q2, Q6 and Q10.